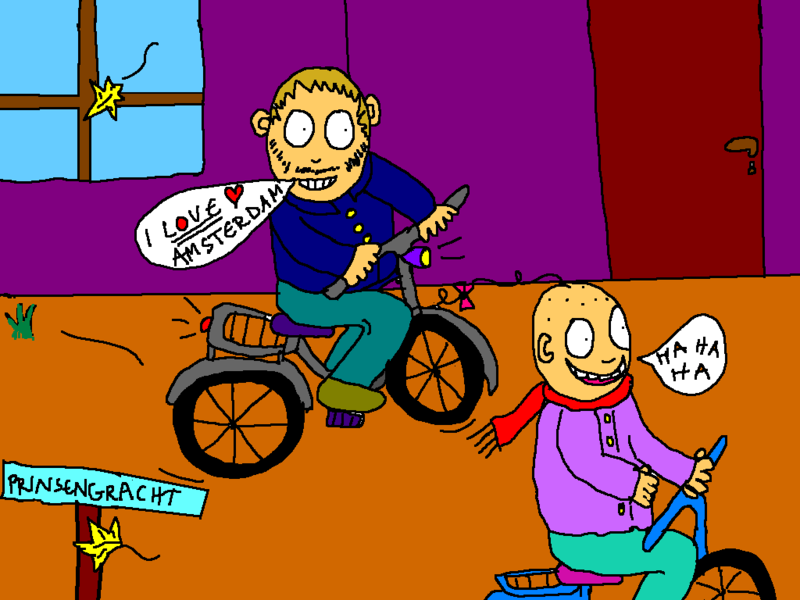 Cartoonofmylife: AmsterdamByBike with Gunnar | Amsterdam, baby! Welcome to today´s cartoon update from my life in Amsterdam! Today has been pretty chill. But Gunnar and I had a bike ride in Amsterdam and explored this beautiful, pulsating city by night. It was super nice! And Gunnar is of course in love with Amsterdam, as you can see of the cartoon. Hope you have had a nice Sunday as well. And thanks for stopping by my cartoon blog. Stay tuned for more crazy cartoon coolness. This entry was posted in Art, cartoon, cartoon blog, cartoonofmylife, funny cartoons, illustration, maypajinamsterdam, norwegian design and tagged Amsterdam, art, artsyfartsy, Cartoon, cartoonofmylife, chill, colors, cool, coolstuff, design, documentary, humor, illustration, norwegian design, real life by maypaj. Bookmark the permalink.